Nikon presented at Kyoto (Japan) a new photographic system called Spirit. 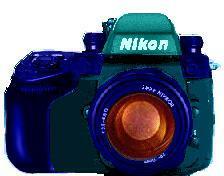 - it can be used as a classical camera with a silver film or as a digital camera. It is possible by this feature to change by end-user interchangeable internal modules. The choice of the functions of the camera is ensured by two large multifunction buttons, ' press and select', arranged on both sides of the HP finder. - functions flash evolved/moved by IR without integrated flash, external and internal LCD screens. - New range of objective FW with total compatibility with Nikkor AFD or AFS. - Autofocus cross sensor with three segments. Color marine blue Lenses FW without diaphragm ring nor distance ring. Lens Models 24mm/2.8 AFW, 28~80mm:3,5 AFW and 135mm/2,8 AFW with optical stabilizer. 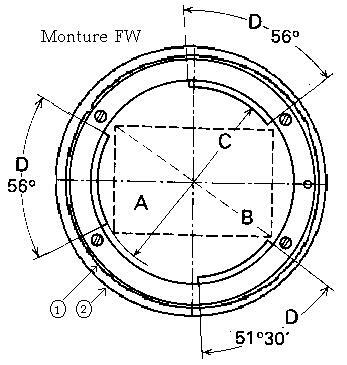 Mounting F was modified and becomes FW, Mounting body was increased (2) and its diameter increases by 10 mm, a central groove makes it possible to receive the O washer ring (1) of new objectives AFW. The external back is equipped also with an O washer ring. At the interior of the camera body appears a system of interchangeable module. This system allows to use a film 135 or a digital module. Module WM1 contains the system of advance of film 135 with incorporated coreless motor and DX coding. The back interns and the system of loading of film can be replaced by the module WM2 which contains the new sensor of 2.11 Megapixel 1/2 inches resulting from Coolpix 950. This module comprises a diffuser, which modifies the image of the HP finder by multiplying the view by 1,6. Information is stored on a memory CompactFlash™ 8MB card. complementary WM2 module would be sold separately for 400 $. The only defect of this concept is to be, today, entirely virtual and to be imagined only for April 1st. To consult the preceding bulletin or to announce your remark or to send a message.